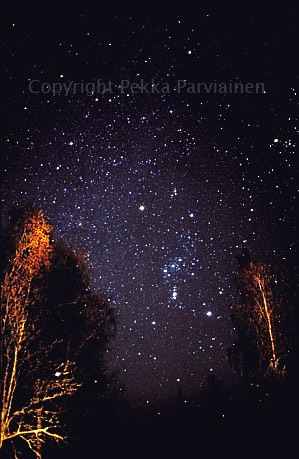 Grainy recordings of scenery and starry sky on 1600 ASA film using lens 28mm f=1.4 and exposures approximately 20 sec without drive + 30 sec with drive. 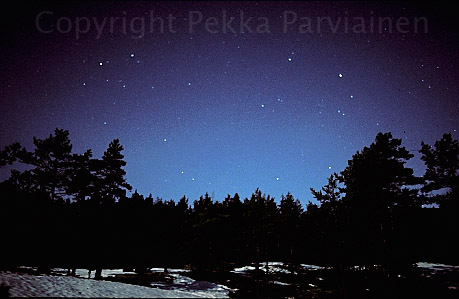 This kind of exposing leaves both stars and scenery sharp with 28 mm fl, but effectively doubles the exposure of an ordinary sharp image. 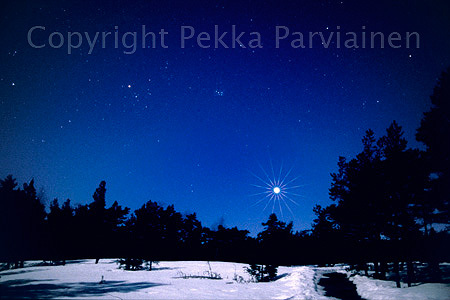 Because I like very much this kind of photography, more will appear later. 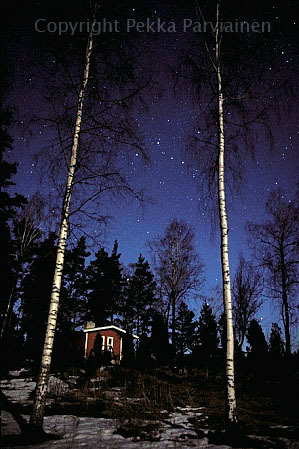 This kind of photographs I like: they fix feelings of night to certain places and sceneries. 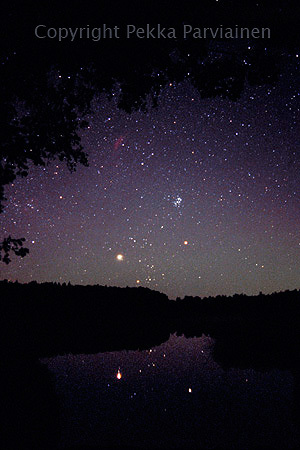 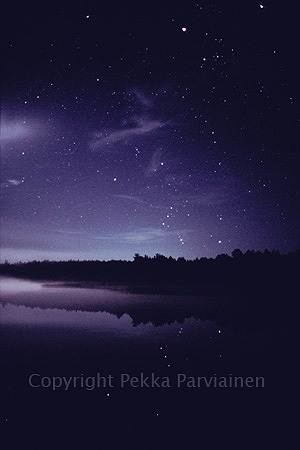 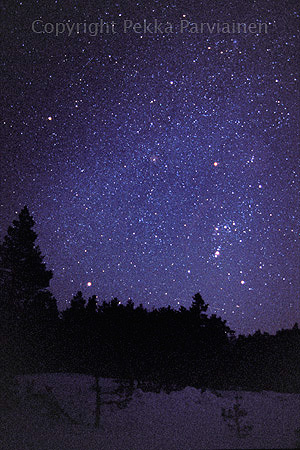 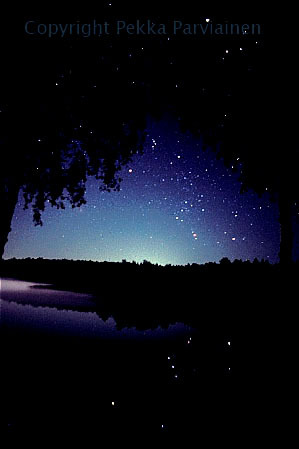 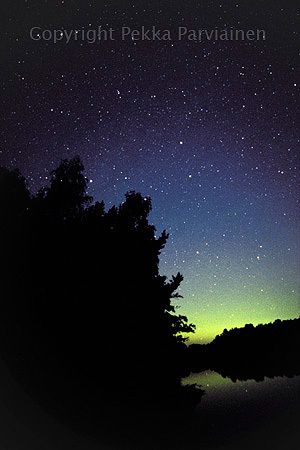 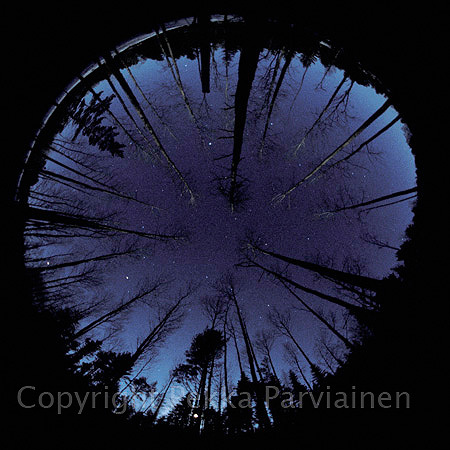 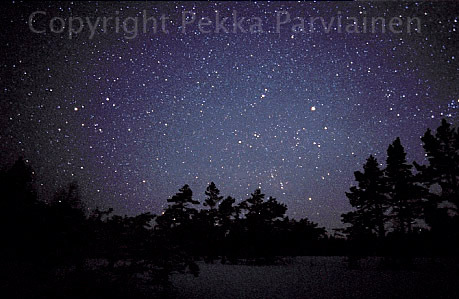 Go out yourself and watch starry sky through trees... isn't there some magic? 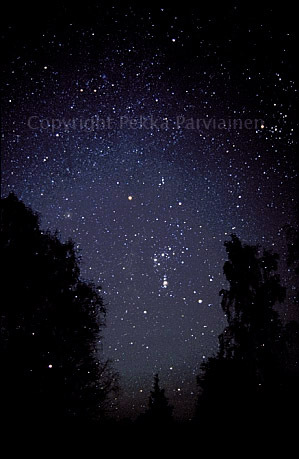 If you feel homesick far away from home, go out in the night, see your friends the stars and imagine: you could as well be on your familair observing site, in safe and close to all important.